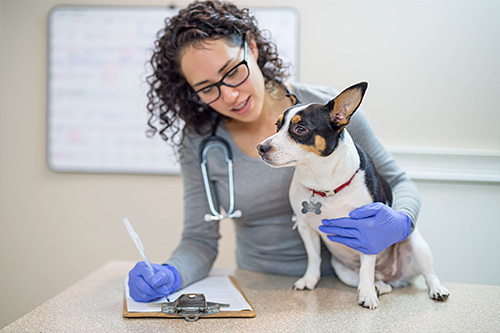 Physical Therapy or Rehabilitation is an essential part of the healing process for many conditions in dogs and cats including osteoarthritis, muscle & ligament injury, as well as, post surgical repair. Deanna is one of our Registered Veterinary Technicians who has taken a full year of additional training in Rehabilitation and Dr. Cline has also completed Continuing Education in this field as well. We will create a customized rehab program for your pet to help them get back on track as quickly as possible post operatively. For additional rehab, including access to Laser Therapy and an underwater treadmill we refer our patients Dr, Danielle Anderson at the Southern Ontario Animal Rehabilitation Centre in Burlington.